The Estonian clothing manufacturer Baltika recently announced plans to close down production units in Estonia, which was followed by similar news from Sangar. This is difficult to accept as a client who values domestic products; however, news like this also help better understand the current reality where previous business models just don’t cut it anymore. In order to succeed on foreign markets, Estonian companies do not just need high-quality and distinguishable products, but a story and a captivating way of telling it as well. During the past ten years, the average wages in Estonia have nearly doubled, increasing from 784 euros in 2009 to 1,310 euros last year. A higher wage level may please employees, but it also puts pressure on business models of enterprises, as the wage cost makes up one of the largest portions of input costs. Ten years ago, the wage level in Estonia enabled production costs to be kept low enough to provide good value for money on foreign markets and to succeed as a subcontractor; whereas, today we are no longer able to remain competitive in terms of price – and this is does not apply to the clothing industry alone. Once the benefit of a lower price disappears, enterprises that aim to succeed in selling high-quality products or services on export markets have to contribute more into their products and brands. 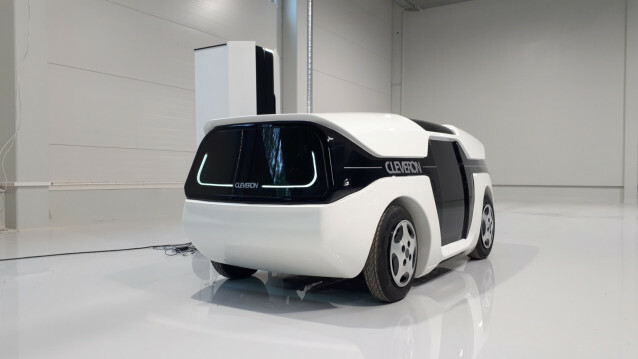 For example, Cleveron, a company that produces parcel robots, has turned down all private label cooperation offers and sells its products exclusively under its own brand. This way, not only does Cleveron provide a technological solution, but it also tells a story and brings a lot more value to Estonia in the long term. A strong brand is based on a great story and great marketing comes from the ability to tell that story well. There’s not much point in planning to take over the world without first having an excellent product that stands out from the rest. Limited labour resources in Estonia do not enable local companies to flood foreign markets with large volumes; however, they can be very successful in the case of specific market niches. Although a niche product may not sound like something that leads to extensive profits, there are many Estonian success stories that prove how companies operating in niche market sectors can achieve immense volumes by taking things global. In Estonia, a product aimed at a very limited target group may have only a few dozen users; whereas, on more distant and larger markets the same product can bring in millions. Historically, Nordic and Baltic countries have been home markets to our enterprises. By today, the aforementioned markets are already very developed and extremely competitive, which is why significant increases cannot be expected from those markets. More opportunities are provided by distant and rapidly growing markets, which may seem discouraging at first due to cultural differences, but also offer opportunities on a completely different scale. For example, the average income level in China has increased 2.5-fold in the past ten years. Thousands of new dollar millionaires emerge every year and the middle class, which has grown rapidly, has enough spare money to spend it on satisfying their curiosity and increased consumption needs. European products are very attractive and increasingly accessible to the Chinese. In order to achieve success on distant markets and the global scale, enterprises have to find and formulate their own stories. 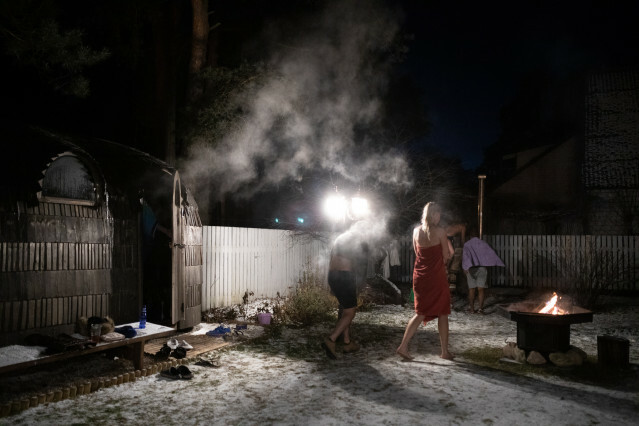 One of the most outstanding marketing projects from last year was that of the Estonian sauna manufacturer Iglucraft. It only took one Instagram photo of David Beckham posing in front of his newly purchased Iglucraft sauna for the internet to be filled with searches about the unique saunas of the small Estonian company. This was not a coincidence, but a skilfully planned and executed marketing campaign for a unique product, which shows that a company that has found its niche and story can succeed eve among clients that previously seemed unreachable. When speaking of niche products, I would also like to highlight the Estonian enterprise Wisefab, which manufactures and develops suspension kits for motor sports (drifting) – Estonians hold40% of the market share in this field. Other companies noteworthy for good storytelling include Milrem, Estelon, Tähe Kayaks and Kellybar. Taxify’s recent name change to Bolt is a great example of modernizing a story so that it would be better suited to the company’s expanded field of activity. To return to Baltika, their decision can be seen in the context of Estonia as a home to head offices. If we wish to move higher up in the global value chain, we have to focus more on work with higher added value, especially work related to intellectual property. In the case of several fields and enterprises, the need to take production outside of Estonia may be inevitable; however, it is important to keep head offices and designers in Estonia. All in all, it is clear that there is no point in making global plans without an excellent and unique product, but the skill to tell the company’s story is just as important. Enterprise Estonia encourages companies to see beyond our neighbouring countries and helps spread the stories of our ambitious entrepreneurs in the wide world.